After our amazing NYE dinner, I thought I would never eat again! Steaks, chicken, fish, potatoes, salads, crab dips, wine, champagne, need I go on? Hubby and I were extremely satisfied and extremely full. We came home around 2 a.m. and we both crashed; carb overload. But, the next morning I felt hungrier than ever! I think it was the wine that was still spinning in my head – it needed to be soaked up quickly! And thus I began to stuff my cannelloni. I am not too crazy about pasta, but my husband can have pasta for breakfast, lunch, dinner, and all in-between. When we started dating, somewhere in the beginning stages I had made an elegant pasta dish (this was before I knew that he loved pasta) with some sun-dried tomatoes and bechamel sauce – the guy was in food heaven! He says that’s when he knew he was going to marry me. It’s true what they say – a way to a man’s heart is through his stomach. So to start off the New Year with a favorite, and because he had to work on New Year’s day (I felt bad for him), I went ahead and made one of his fave pasta dishes; Cannelloni Stuffed with Ricotta and Feta Cheese. Spinach and feta stuffed cannelloni. Cook the cannelloni according to package instructions. Drain and pat dry with paper towels. Heat olive oil and butter in a pot over medium heat then stir in the garlic, and cook for about a minute, constantly stirring. Add quartered cherry tomatoes to the pot and cook over medium-low heat for 4 minutes. Add in the ricotta cheese and the feta cheese. Cook for 2 minutes. Add spinach and sauté, stirring, until just wilted, about 2 more minutes. 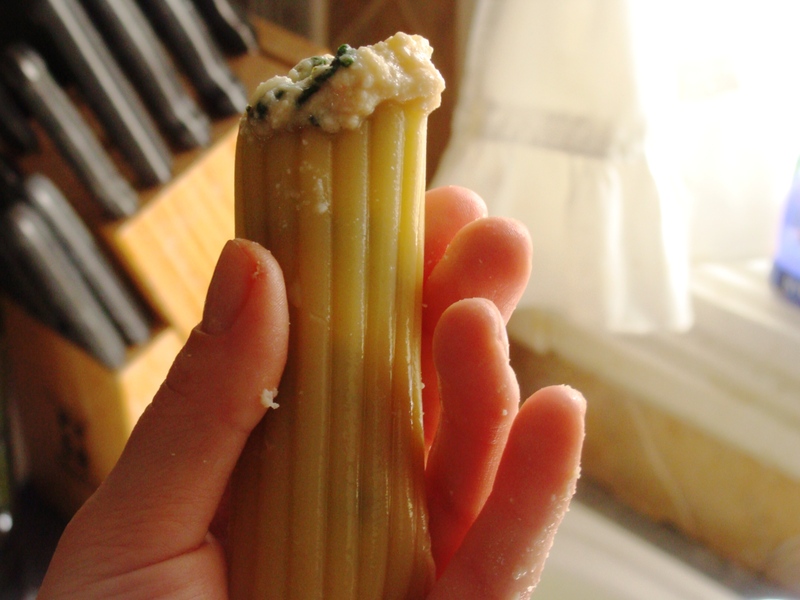 Stuff the mixture into the cannelloni tubes with a small spoon or a piping bag. 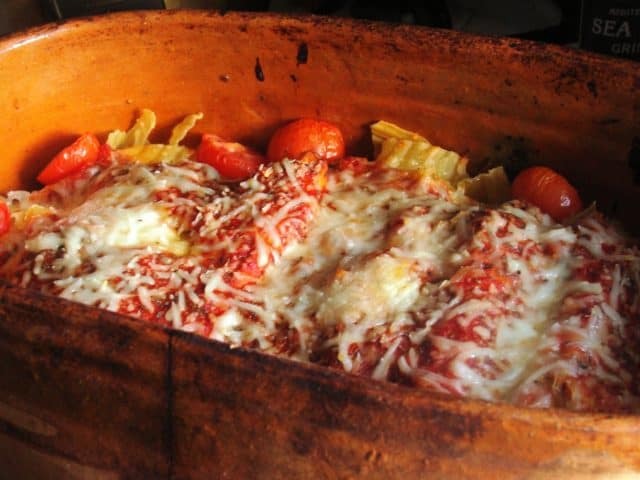 Arrange the cannelloni shells down inside of a baking dish or a clay baker. Top with the tomato sauce and sprinkle with the shredded mozzarella cheese. Bake in oven for 20 minutes or until sauce is bubbly and cheese is golden on top. Mmmm those look dangerous but absolutely delicious! I love any kind of stuffed pasta! This looks beautiful and delicious! I love the bright red and green (and the fact that it’s a cheesy pasta dish) 🙂 Yum! Lovely, wonderful and delicious Cannelloni. Does it get any better than that. This looks delicious. I like to make ricotta and home and this would be a great way to use it up. I had to laugh about your husband- with mine, it was the quiche. He suspected he was in love with me before he had it, but after the quiche, he knew for sure. Homemade ricotta is delish! My grandma makes it at home, too, and of course there’s nothing better than homemade. These look fabulous and pretty simple as well. Definitely on my menu list in the upcoming weeks! I can see why this would be one of his favorites. It looks delicious! Like you, I’m not the biggest fan of pasta but my husband adores it! I may have to surprise him with this soon! Thank you for sharing with me. I hope you are having a lovely start to the first week of 2011! 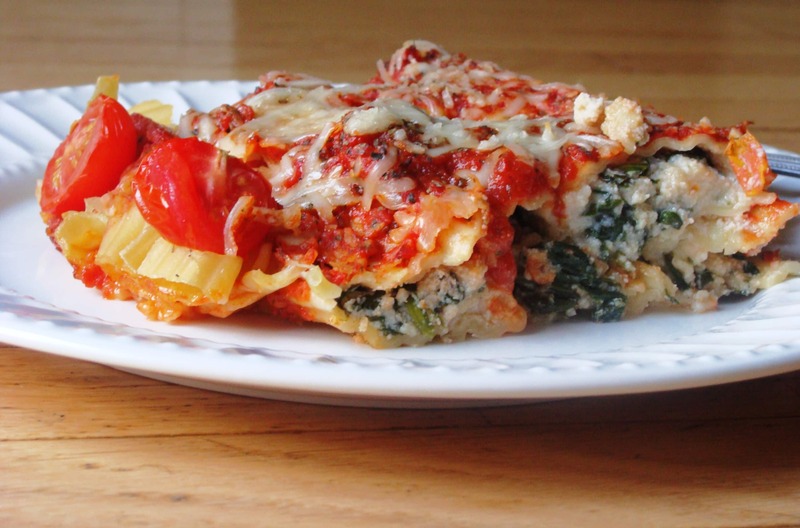 Your cannelloni look extra delicious! I would have to agree with you that this is the best, and yummiest, way to soak up the new year’s celebration 🙂 So yummy! I have a huge container of ricotta and I’ve been wanting to make something with it before it goes bad. Thanks for the idea and recipe! Happy 2011!! I am a pasta freak, too. This sounds like a fabulous meal. I especially like the pan you baked it in. It looks so homey. I love cannelloni! Yours look so good! You just gave me a big craving :P.
Oh Kate! Spinach and ricotta is my favourite combination for pastsa!!! This makes me want to change my menu plan for the week! I don’t eat a ton of pasta either, but THIS I could make an exception for! It’s just gorgeous. Happy 2011! Found you through Amy’s blog. Lovely. I love this mixture (I would – I stuffed my New Year’s ravioli with it) and definnitely appreciate the additions of all those lovely vegetables – adding more tang and depth to the dish. Oh, this looks wonderful!!! Lovely dish! This is such a delicious dish! I have been curious about the Spanish/Italian connection and found a Catalan cannelloni recipe … white sauce and meat filling … so delicious. Maybe you want to amke it for your guy some time as a change…. My husband is crazy about tomato sauce – he uses half of a jar (we make our own) on a bowl of spaghetti! I change it up a bit once in a while with white sauces, so I definitely need to check out that recipe – thank you! What a beautiful pasta! 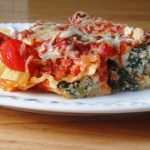 It sounds so easy and yummy…I’m a pasta freak, and I also won the heart of my husband through food – his favorite is meatloaf and chicken fried steak! Oh thank you, Claudia – I will pull up a seat for you at my dinner table any time! Looks awesome – I never seem to be able to stuff them very well with a spoon. I’ll be giving your recipe a go soon as I have so much extra cheese my drawer hardly opens. Yum!!! We had pizza- I just couldn’t cook! I completely understand! I was ‘out of service’ for the rest of the day. Wow, that looks fantastic. 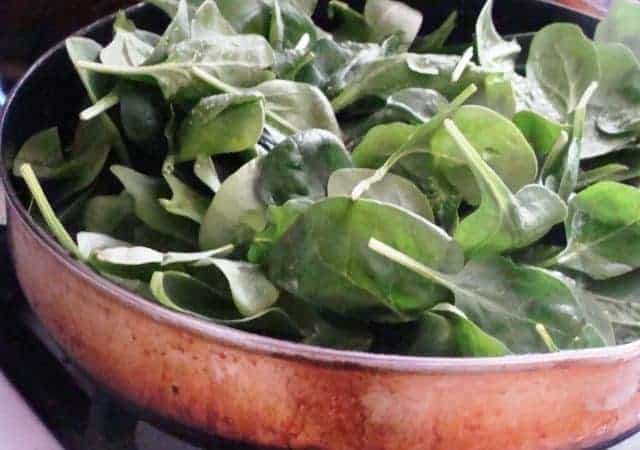 I’ve been blessed with a daughter who loves spinach so I’ll have to give this a go! These look delish! I love that you included lots of veggies with the cheese! It would be a great way to sneak more of ’em into my house full of testosterone marinated carnivores! Thank you!